This article elaborates on the ISB initiative to influence the relevant constituencies (SME associations, financial institutions, finance ministry, the RBI) to come aboard on the trade credit securitisation drive. It is a central mission of Centre for Analytical Finance (CAF) to encourage and promote original research focusing on Indian capital markets by faculty and Centres of Excellence at ISB.Our ultimate goal is to have the outcomes of such research influence and inform business practices and policies in India and other emerging markets. This article outlines such a research-based policy initiative. The initiative draws on the findings of research I have undertaken at the Centre for Analytical Finance (CAF) at the ISB, often with other colleagues at ISB and outside.The policy recommendations highlighted in the article were developed when I was working with the Raghuram Rajan Committee on Indian financial sector reform. 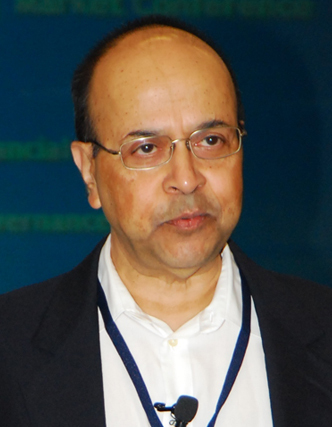 The recommendations were accepted by the committee and are included in the committee report presented to the Prime Minister of India in 2008.
Credit rationing (unavailability of credit even if the borrower is willing to pay very high costs).Based on information generated by surveying a sample of SMEs in and around, Sankar De and Manpreet Singh (2010) find that the creditors resort to rationing to prevent default by borrowers. When direct monitoring by the lenders over the use of credit is not feasible, a high interest rate necessary to clear the market for loans creates a “debt overhang” problem for the borrowing firms. Since they capture a relatively small part of the returns given their large debt repayment obligations, the debt overhang reduces their incentive to avoid high-risk-projects and possible default. Limited liability of the borrowing firms results in the lenders bearing all the downside risk and accentuates the adverse incentive problem. The problem is more serious for the smaller firms. To limit default in this scenario, the lenders do not allow interest rate to rise to a level where existing demand for credit is fully satisfied, and resort to rationing when the rate reaches a critically high level.The critical costs are usually in the 50-58% range depending on the credit type. Micro enterprises and SMEs together account for 8% of India’s GDP, 50% of total manufactured exports, 45% of India’s total industrial employment, and 90% of all industrial units. The SMEs could reduce their investment in working capital, and thus their need for finance, significantly. The balance sheet clean-up would improve the credit worthiness of the average SME, qualifying the company for more bank loans as well. A new market for securities will come into being, creating new financial sector assets and jobs. By our current estimates, the underlying asset base will be one billion dollar plus in the initial years and will grow rapidly. Growth in the SME and financial services sectors will have strong positive multiplier effects throughout the Indian economy. A realistic estimate of the secondary effects is currently not available. Securitisation has some advantages over other financing options. Though the securitisation process is similar to factoring, based on existing evidence it is more cost-effective than bank funding, factoring and letters of credit.5 Essentially, exchange-traded securities economically dominate OTC transactions. Besides, securities can be and are typically rated. A negotiable Bill of Exchange (BoE) issued by a buyer against goods received provides a form of securitisation of trade credit.The supplier can have the BoE discounted with a financial intermediary in a private transaction. The supplier and the intermediary can also endorse the bill in favour of any other party. Currently, mostly banks deal in BoEs, and usually the acceptance and discounting are kept under the credit limit set up for the buyer. However, the nature of the transactions and the physical format of BoEs rule out a sizable secondary market in them. A note of caution is in order. Creating a market in securities with trade credit as the underlying assets requires regulatory and taxation clarity regarding securitisation of revolving assets. The current RBI guidelines do not include securitisation of revolving credit. They are also unclear whether the FIIs can invest in securitised assets. Though IOUs issued by large firms against goods received form SMEs are essentially commercial paper with the high credit ratings of the large firms, the transaction costs in getting the papers accepted by financial institutions and then packaging and selling them are important barriers to a secondary market. Therefore, measures that will dematerialise them and enable them to trade in a similar way to commercial papers are necessary. Specifically, National Securities Depository Limited (NSDL) should provide dematerialisation capability. The existing exchanges and reporting mechanisms (NSE/BSE/CCIL) should be used to trade and settle these instruments Additionally, a formal rating programme along the lines of commercial papers should be instituted to enhance secondary market tradability. Stamp duty is one of the major hindrances to the development of securitisation in India. Stamp duty is payable on any instrument which seeks to transfer any rights or receivables at an ad valorem rate, which ranges from 0.1-8% among the states. The process of transfer of the receivables from the originator to a financial institution involves a stamp duty, which can make securitisation commercially unviable in several states. Besides, there is a risk of stamp duty being levied on issue of securitised instruments to investors by the financial institutions.Though Patil Committee recommended that the Central Government should institute a process leading to a uniform and affordable stamp duty rate across the states, the proposal is still not at the implementation stage. Formulate a careful and detailed agenda, with explicit timelines, for a nation-wide trade credit securitisation drive.The agenda will be based on research findings about SME financing already conducted at CAF and policy recommendations included in the Rajan committee report. Set up a high-powered task force consisting of leaders of the various constituencies who have an interest or stake in trade credit securitisation.The task force will oversee the different stages of the securitisation process with advice, counsel, and mentoring. The group will include eminent academics with expertise in economics and regulation of trade credit financing, heads of SME financing units at the public and private commercial banks in India with large SME clientele, finance professionals with extensive securitisation experience, senior officials with Ministry of Finance and the Reserve Bank of India, and representatives of SME associations affiliated with Confederation of Indian Industries (CII). Organise meetings and symposiums between different stakeholders, including representative of SMEs, financial services industry, and regulators, to push forward the above agenda. Organise workshops in practical aspects of receivables securitisation. 1 Based on data supplied by the Ministry of Micro, Small, and Medium Enterprises, Government of India. See Shamika Ravi (2009), “Entrepreneurship Development in MSME Sector in India”, working paper, Indian School of Business. 2 For a sample of about 9,000 Indian SME’s, Franklin Allen, Sankar De and others (2010) find that almost 16% of their total funding during 2001-2005 came from trade credit. It was by far the single biggest source.Using financial reports of around 2,000 public companies from 1990-91 to 2002-03, the Reserve Bank of India (2005) finds that the smaller Indian firms depend heavily on trade credit for their funding needs and much more so than the larger firms.Using balance sheet information for nearly 6,000 Indian firms during 1994-2003, World Bank economists Inessa Love and Martinez Peria (2004) come to a similar conclusion. 3 Sankar De and Manpreet Singh (2010) estimate that the median Indian SME receives a third of its trade credit needs from informal sources. 4 See Sankar De and Manpreet Singh (2010). 5 It is about 100-150 basis points cheaper than the marginal cost of bank borrowing in the USA (see Joel Kurtzman,Chief executive, November 1995). Financing Firms in India, working paper, Centre for Analytical Finance, ISB, 2010. 2 Sankar De (CAF, ISB) and Manpreet Singh (CAF, ISB), Credit Rationing in Informal Markets:The Case of Small Firms in India, working paper, Centre for Analytical Finance, ISB, 2010. 3 A Hundred Small Steps, Report of the Committee on Financial Sector Reforms, Planning Commission, Government of India, Sage Publications, 2008. 4 Inessa Love and Maria Soledad Martinez Peria, Firm Financing in India: Recent Risks and Patterns, World Bank policy research working paper, 2005.